Overseas investors were increasing selling Japanese stocks. 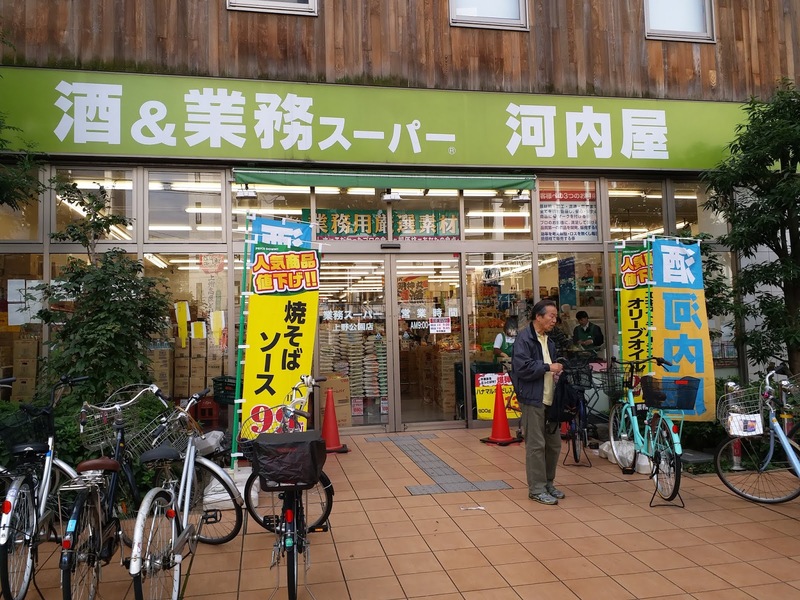 The amount of sales in fiscal year 2018 was about 5,630 billion yen, a 31-year high. Against the background of a US-China trade war and other factors caution about the future of the world economy was becoming strong. However, the Bank of Japan (BOJ) offset it by buying in almost the same amount (approximately 5.65 trillion yen) and buying and selling were offsetting each other. The imbalance picture that the BOJ singled-handedly taking up the sale from foreigners was clear at a glance. 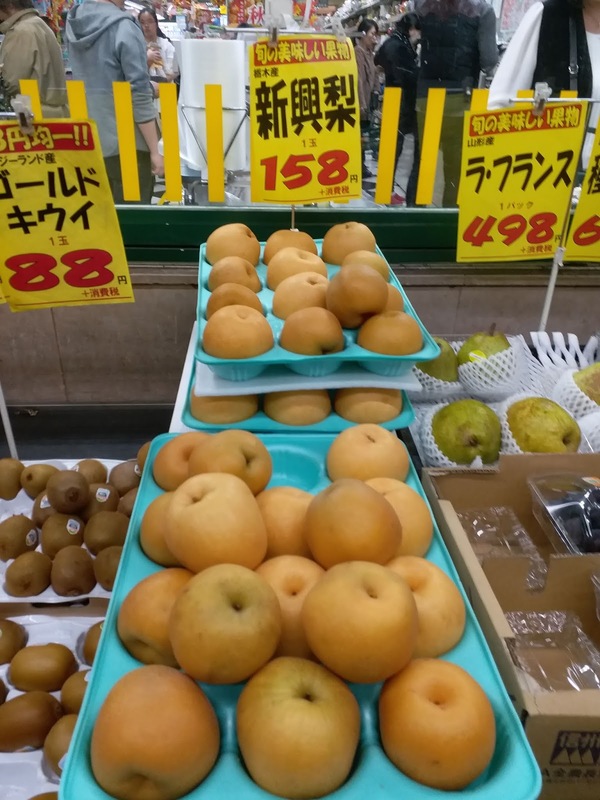 Based on investment trends worked out by investment sector announced on the 4th by the Tokyo Stock Exchange, the recent amount of overseas sales had been high, counting from since 1987 when Japanese stocks continued to rise with a bubble economy in earnest. The selling out was two years in a row. The biggest factor behind the foreigner’s sale was an alert to a slowdown in the global economy. There were many export-type manufacturers in Japanese stocks, and they were easily influenced by trends in the global economy. With an uncertainty in the outlook such as the US-China trade war and the slow going of the Chinese economy, there had been a series of cases where foreigners had scaled down the decision to invest in Japanese stocks. BlackRock, the world's largest asset manager, changed the stance on Japanese stocks from "bully" to "neutral" in July 2018 for the first time in about one year and eight months. State Street Global Advisors, the third largest asset manager in the world, had from October to December 2018 reduced the investment ratio of stocks with risky asset for reasons such as lack of a clear path to resolve the US-China trade war. Among them, they also lowered their investment judgment on Japanese stocks from "neutral" to "slightly bearish" after 2019 because of a risk of yen appreciation. The Bank of Japan absorbed these foreign sales by buying in the Japanese stock exchange-traded funds (ETFs). The Bank of Japan began buying ETFs in 2010 when the Nikkei average was generally below 10,000 yen, it served the aim as " a premium for risks reduction." The initial purchase amount was 45 billion yen. It announced a policy to set it at 6 trillion yen in 2016. The total amount of ETF purchases by the BOJ amounted to 5.65 trillion yen in FY2006. The balance of holdings was estimated to be about 29 trillion yen as of the 3rd, representing nearly 5% of the market capitalization (about 600 trillion yen) of the First Section of the Tokyo Stock Exchange. The Bank of Japan boosted asset prices and stimulated consumer spending through large-scale purchases of ETFs and it was expected to lead to a rising prices of commodities. However, the exceptional policy that a central bank directly supported share appreciation was also risky. In March, the National Bank of Japan Deputy Governor Masatoshi Amamiya stated in the National Assembly that "If the Nikkei Stock Average falls below about 18,000 yen, the market value of ETFs held will fall below the book value." Although there was still a distance from the current market level, yet once the stock market turned into a downturn the BOJ's equity capital could be damaged, and currency confidence might also fluctuate. So, the Japanese government is directly supporting the share prices of many Japanese companies. On the 4th of November I visited Yanaka Ginja (谷中銀座 ) in the morning. 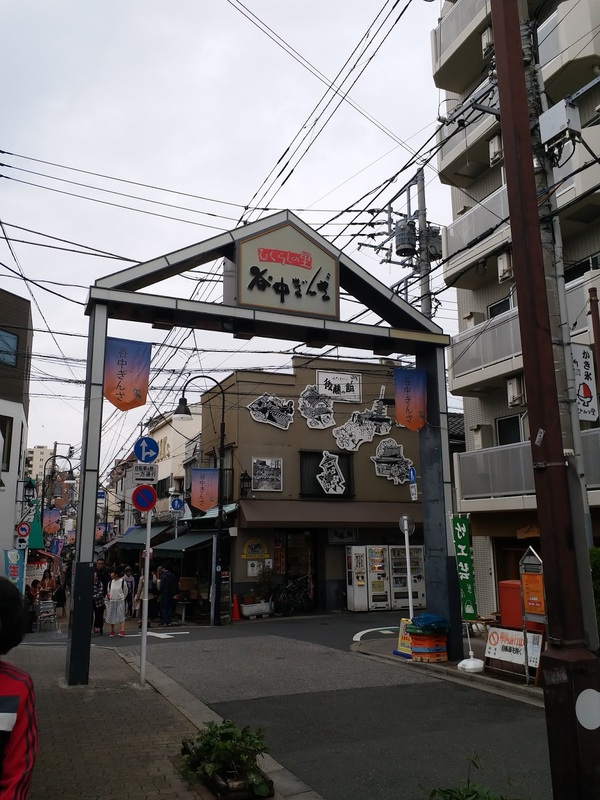 The Tokyo Travel Guide introduced Yanaka Ginja as a leisure spot and said that “Yanaka together with Nezu and Sendagi is a popular spot for strolling. There many shines and temples. One of the main spots is Yanaka Ginza, which is crowed with both man and women, young an old, as there is everything from old established shops opened since the Taisho era, to modern sweet shops. Many cats also gather at the Yuyake Dandan staircase, which is a hot spot for taking pictures of cats, located at the entrance of the shopping street.” As a cat-lover I want to have a look of the cats. 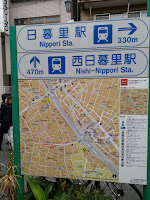 I traveled to Yanaka Ginja using the Yamanote Line and got off at the Nippori Station (日暮里駅). 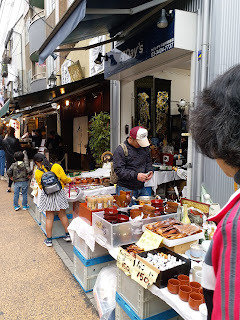 There was a shopping street in Yanaka Ginja which had many small shops, including food shops from western style restaurants that served toast and coffee to Japanese style food stalls that offered tempura. 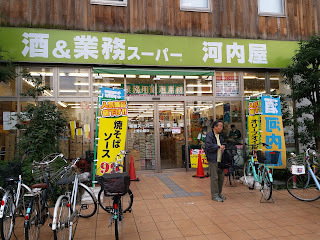 There were also a shop selling small electrical items, on top of some shops that sold household daily items. 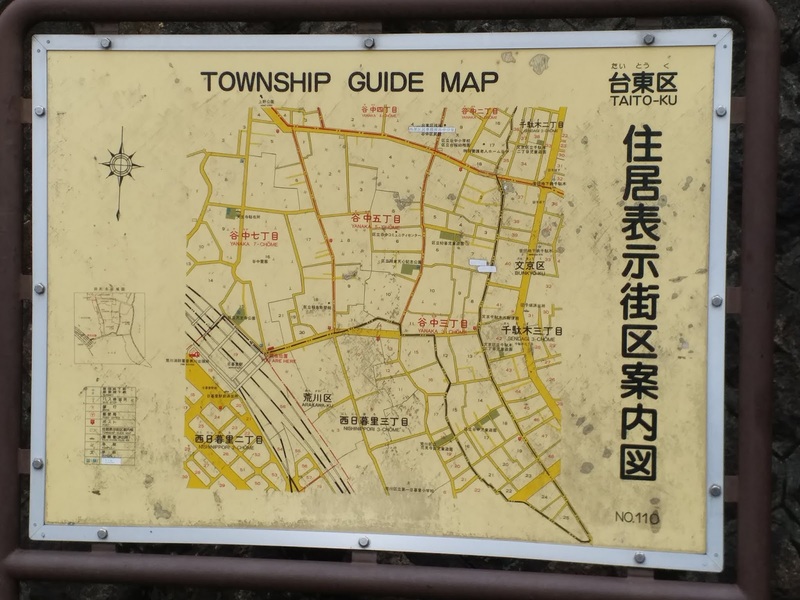 While I was strolling along the shopping street, a young local people came towards me to ask in English whether I needed any tour guide service. 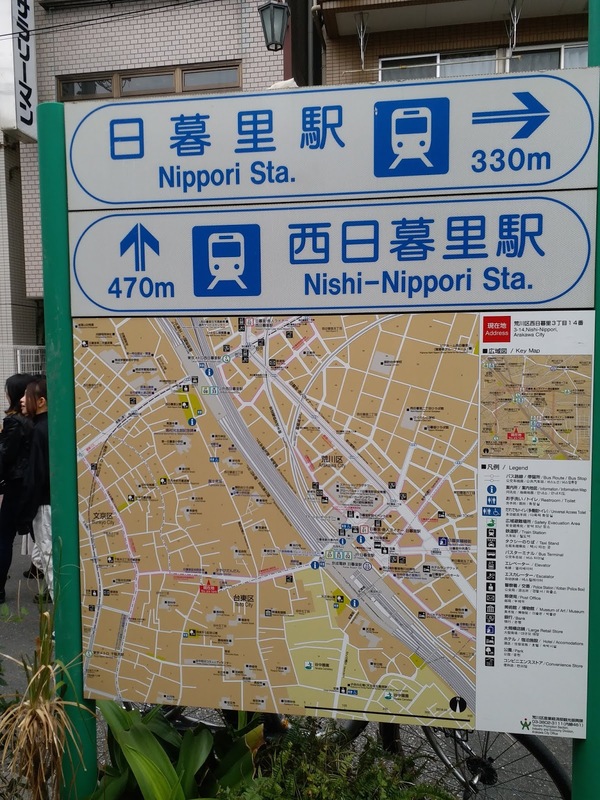 While I wondered how he could tell that I am a non-local/tourist at a glance, I surprised him by saying in Japanese that “no, thank you; I shall do the sight-seeing by myself.” I stop at a one food stall to buy some tempera. The food’s quality and taste were just ordinary. I think this was a logical outcome as the price of the tempera was super cheap. There was a shop called “7-Day’s” which sold many small objects such as wood cups and bowls and had attracted many young boys and girls looking for their favourite items. 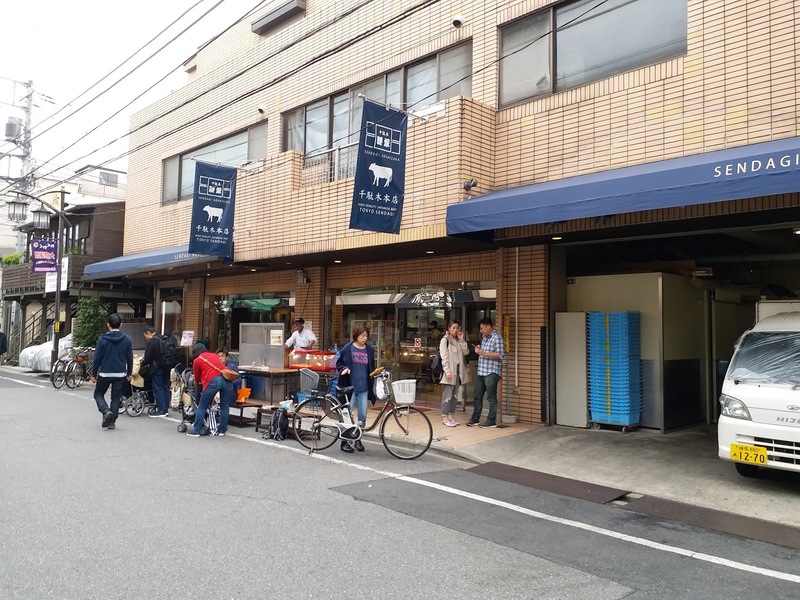 Further down the shopping street there was a meat shop, the Sendagi honten(千駄木本店) which sold high quality Japanese beef. Right in front of this shop, I saw a man dressed in white selling take-away hot food. At nearby there were chairs where customers could sit down an enjoy the food right away. While I was attracted to here by the cats, I was disappointed. I could see only two old and thin cats in the whole street, perhaps the timing of my visit was not right. In 2018 Huawei, the telecommunications equipment leader in China dropped to the second place in global share of mobile communication infrastructure. Sweden's Ericsson became the first again after two years and regained the leadership. As for the next-generation communication standard "5G", Huawei was fourth. The elimination of Huawei products by the Trump US administration had begun to impact on the market power map of telecommunications infrastructure. Based on the share of sales of base stations etc. in 2018 compiled by a British research company IHS Markit, Ericsson's share increased by 2.4 points to reach 29.0% compared with 2017, while Huawei decreased by 1.9 points to stand at 26.0%. Regarding the decline in Huawei's share, IHS Markit analyzed that "some countries have refrained from making some new purchases due to the effects of the trade war." Due to the transition period from the current 4G to 5G, the global market size shrank from 2017 by 18% to $ 30.5 billion (approx. 3.4 trillion yen). Ericsson topped the list of estimated shipments of 5G communication equipment with 24%, followed by Samsung Electronics (21%), Nokia (20%), and Huawei (17%) at fourth. 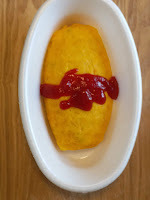 Although Huawei had been ahead in the number of patent applications related to 5G, it seemed that the US's rejection of Huawei to target at 5G was affecting the latter’s business. In August 18, the United States enacted a defense authority law that prohibited the use of Huawei products in government agencies. It also requested its allies not to use Hauwei products. Australia decided to ban Huawei's 5G entry. Japan also disclosed a guideline to effectively shut out Chinese merchandise from government procurement. The European Union (EU) had issued a recommendation to leave the decision to member states, but Germany had indicated its policy to develop its own standards and to consult with the United States. Many countries were expected to make full-fledged capital investments on 5G from now on, and the guidelines of individual countries might possibly influence the future competition in market share. Huawei's financial results announced on the 29th showed a net sale increased of 19.5% to 721.2 billion yuan (about 11.90 trillion yen) from the previous term. While it reached a record high, for telecommunications companies such as base stations business, sales fell 1.3% to 294.0 billion yuan. It was said that the decline in sales in the same business was "not recently" (Huawei). Guo Ping, vice-chairman and co-chairman at a news conference held at company headquarters in Shenzhen of Guangdong Province said, "the company was affected by global telecommunications investment cycles" and emphasized the reasons not to increase significantly investment in telecommunications companies during the transition to 5G. He declined to mention about the impact of the US exclusion policy. An industry leader in the same trade in China, Zhong Xing Tong (ZTE), suspended the business because it could not procure semiconductors due to sanctions issued by the US government which prohibited it doing business with US companies. Mr. Guo said, "There are multiple production plans to avoid disruptions," and it was urgent to build up parts inventory and to diversify suppliers. I hope the trade war centering around 5G between China the US would end soon. 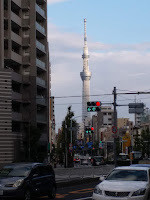 On the third of November I walked around Tokyo’s Taito district (台東区) and enjoyed some local food as lunch and dinner. I considered it at an in-depth visit to this place. 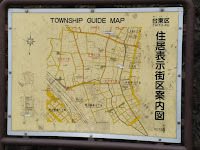 Taito district was a region that tourists seldom visited because there was no tourist attractions. My purpose was to see it first hand to know how the local people bought their daily food. 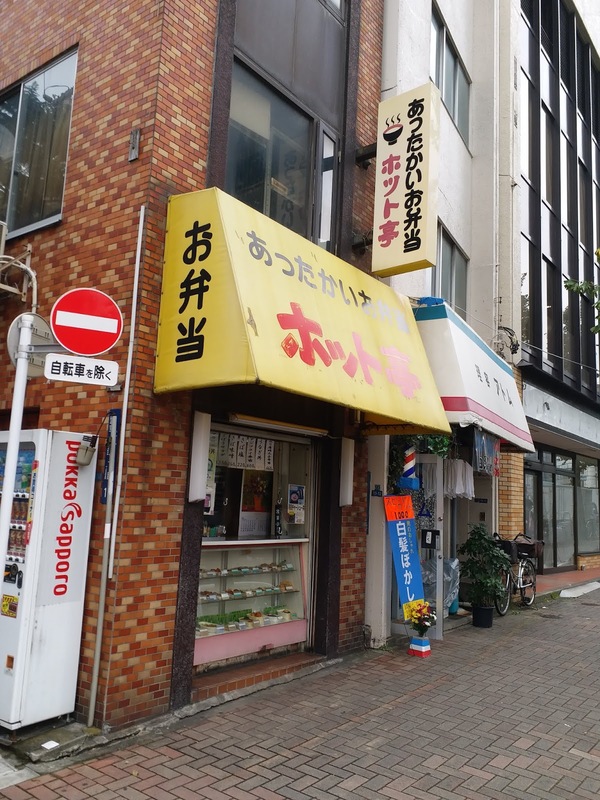 In this district, there was a supermarket the CCS (Consumerism Convenience Store) and a chain food store, the Kawachiya ( 河内屋 ) which supposedly to be a food/wine wholesaler. 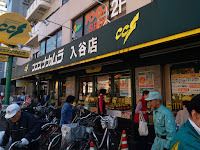 The CCS sold all kinds of daily food items, from vegetable to fruit, from fish to sashimi. 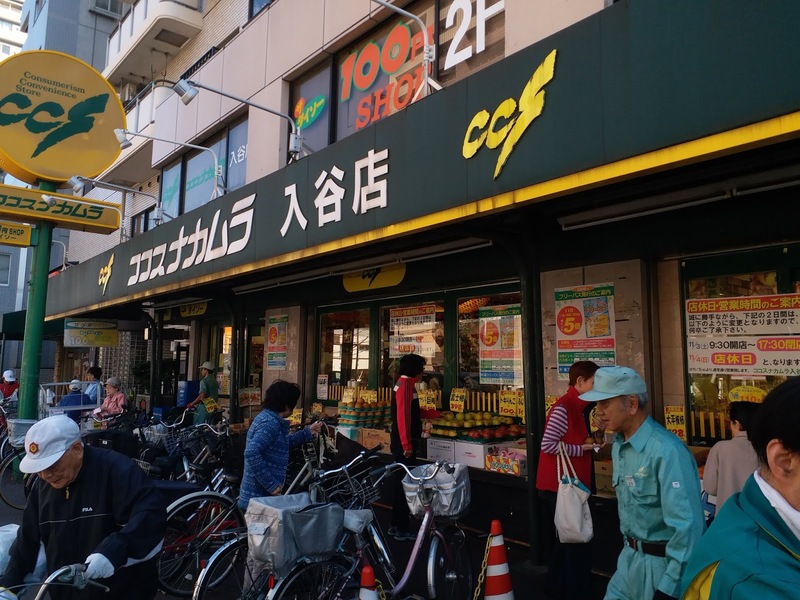 I noted that CCS was a popular place for local families to buy their daily food as during the rush hours it was full of customers. One special item of this supermarket was its fresh deep-fry items: fish, chicken and potato etc. There was a fresh sea food corner when one could buy a large piece of tuna and asked the staff to cut it into small pieces for you. Kawachiya was different from CCS in several areas. It sold mostly packed food or refrigerated food such as meat products. While there was no fresh fish, vegetable or sashimi, there was a wine corner where one could buy different brand names imported and locally made spirit; and also popular Japanese sake. In this district several things were noted. I noticed that many people here, both men and women loved riding their bicycles to work or to do their daily shopping. Many drove their bicycles on the pavement instead of on the road. 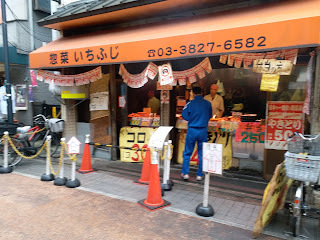 Also, there were a lot of small BBQ food stores selling take-away strings of chicken meat at a price of 100 yen. I also found a small restaurant that customers had to stand while eating, the so called Risshoku(立食). 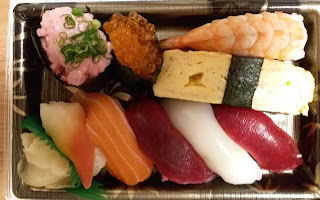 There were also many food stores selling take away bento (お弁当) or sushi tray. 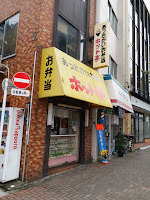 From some of these local shops I bought one オムライス(rice-omelet) and some sushi. The complete "AI strategy" formulated by the government was understood. A new goal was set to raise annually 250,000 people as human resources that could use artificial intelligence (AI). All university students, regardless of humanities or science stream, would be required to receive education on introductory AI course in the universities; specialized courses for working adults would be established in the universities. With the rapid development of advanced technologies such as big data and robots, the shortage of AI personnel was becoming serious. The government played a leading role in strengthening Japan's competitiveness. It would be announced on the 29th at the government's Integrated Innovation Strategy Promotion Council (Chairman - Chief Cabinet Secretary Yoshihide Suga). With the spread of “IoT,” where everything would be connected to the Internet, and the use of big data, businesses that required AI were spreading to various fields and not just limited to the IT industry. On top of having highly specialized engineers, if a wide range of human resources did not have the basic knowledge of AI, to develop competitive products or businesses would be difficult. On the other hand, human resource development in universities and companies had not kept pace with the rapid speed of commercialization. The scale of AI education in the universities was still small. According to a government survey, the number in human resources who had completed a master's program was less than 900 people a year in the 11 universities such as Todai, Kyoto University and Waseda. It would stay at around 2800 people in the whole country. Preparation for students in general was even more slow. According to the Ministry of Economy, Trade and Industry, it was estimated that in the Japanese industry about 300,000 people with IT knowledge such as AI were lacking in human resources by the end of 2020. The government saw the current education system could not adequately cope with the situation and would set up a system. The aim was to raise Japan's industrial competitiveness by enabling people who were active in various fields to have basic knowledge such as the "deep learning" mechanism and the method of data analysis using AI. The highlight would be the introduction of AI education to higher education. Elementary class AI education for all college students and technical college students of approximately 500,000 would be taught annually. The hope was to make them know the minimum programming mechanism and understand the ethics of AI. Students who had taken the course would be issued certificates of completion according to their level so as to make it easier for them to find employments. Among them, 250,000 people would be groomed as AI personnel with more specialized knowledge. In addition to basic level acquisition, the expectation was that “deep learning” would be systematically studied and that machine learning algorithm would be understood. It would promote education to enable the use of AI such as "AI and economics", and "data science and psychology" regardless of humanities or sciences streams. At present, in the four-year universities there were 420,000 students in humanities, 120,000 in science, and 60,000 in health. Among them, 180,000 people belonged to combined science and health; together with the 70,000, or about 15% students from humanities, they would be targeted to become AI personnel. The aim was to achieve the government new goal in total. It would also re-work the learning of the working people in the society. Specialized courses in universities would be in place by 2022, and the government would support part of the cost. The goal was to educate 2,000 people a year. The aim was to acquire "deep learning" etc. necessary for using AI. The government urged the universities to systematically reflect a series of reform plans in their curriculum. It encouraged companies to set up a welcoming environment for students with AI skills through internships etc. If the company side accepted students who had AI skills with generous treatments, it was expected that the universities would respond actively in their curriculum. It seems that Japan is preparing the country with a workforce that have AI skills in face of the coming new IT era. 【London = Kenta Shinozaki】 The Financial Times Group, which published a financial newspaper the Financial Times (FT), announced on the 1st that their number of paid subscribers reached 1 million on the same day. Electronic version accounted for more than three quarters. Readers increased around the world through PCs as well as smartphones, and it achieved its internal goals a year ahead of schedule. FT's "digital first" strategy that put the electronic version at the center of growth had led the company to promote digitization early in the world's newspaper industry. The electronic version was launched in 1995, and paid services started in 2002. Globalization was in progress, and about 70% of its subscribers were outside the UK. Nihon Keizai Shimbun, which acquired FT in 2015 years, had 651,702 electronic paid subscribers as of January 1, 2019. The total number of paid subscriptions for the Nikkei /FT Group was approximately 4 million. It seems that the Nikkei/FT group is popular globally among readers. The official land price as of January first 2019, as announced by the Ministry of Land, Infrastructure, Transport and Tourism on January 2019, had been rising for four consecutive years with an up of 1.2% for all commercial, industrial, and residential usage (nationwide). It returned to about 40% of the peak at 1991. The rural area turned positive for the first time in 27 years with a rise in the second consecutive year. While the low interest rate environment underpinned real estate investment and private housing acquisition, in some overheated urban areas a feeling of slowing down could be felt. Commercial land rose 2.8%, rising from 1.9% in 2018. The three major metropolitan areas of Tokyo, Nagoya and Osaka had risen by 5.1%, and the recent growth rate was the second highest since 2008, just before the Lehman shock. Regional central cities had shown even higher growth. In commercial areas, the average rate of increase for the four cities of Sapporo, Sendai, Hiroshima and Fukuoka reached 9.4%. The rate of increase was high in urban areas such as the prefecture capital, and in areas where foreign visitors in Japan chose to stay. The top was 58.8% in area around Niseko of Kutchan-cho in Hokkaido where snow resorts concentrated. Low interest rate supported the rise in residential areas. The recent decline in land prices had made the market more affordable, and demand had flourished again. The fact that companies were raising wages due to labor shortages was also raising the motivation for individuals to acquire housing. As regional key cities began to hit high prices, demand in the surrounding area also went up. The city of Tosu in Saga Prefecture was valued for its good access to Fukuoka City, and the residential area had risen for two consecutive years. When an estimate was done based on the rate of change starting from 1991 which was at the peak time for all usage, the price for 2019 had returned to the level of about 40% of 1991. It was about 2% higher than the bottom price of 2015. 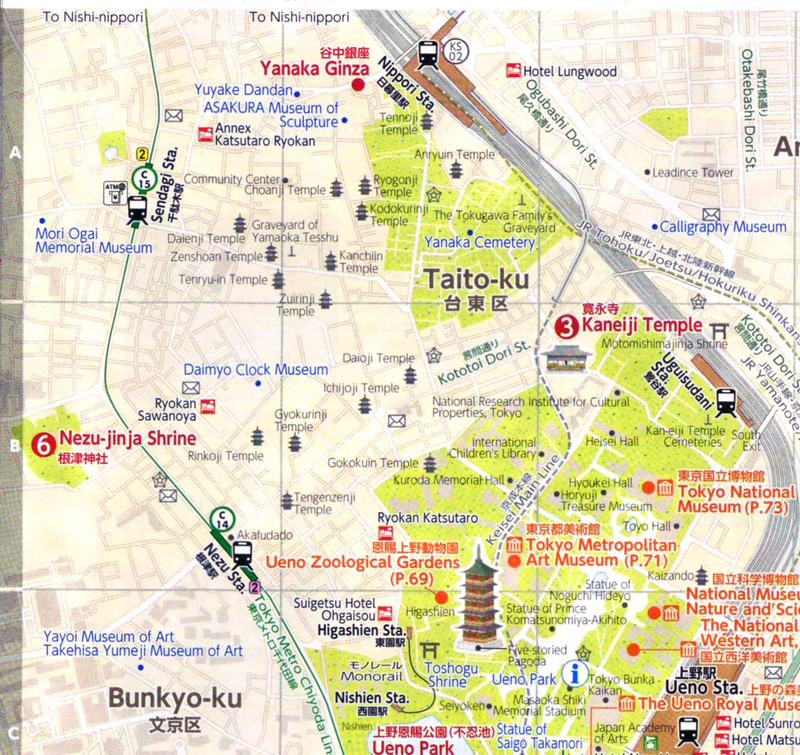 It rose about 8% in the Tokyo area which had bottomed out in 2013. While land prices continue to grow, the rate of increase was smaller than in the bubble season which recorded double-digit growth. 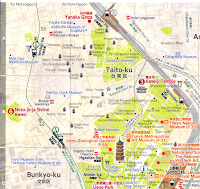 Land prices in commercial areas of metropolitan areas such as Tokyo were around 20-30% of the bubble period. The "investment backed by real demand" (Ministry of Land, Infrastructure, Transport and Tourism) also supported a strong rise. 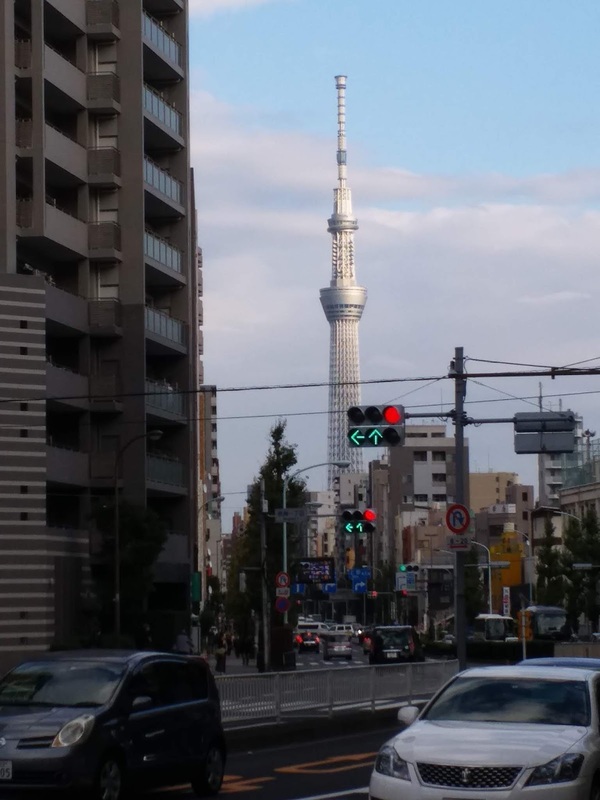 Still, in overheated Tokyo area, you could see a pause. Looking at the highest price point in the five wards of central Tokyo (Chiyoda, Chuo, Minato, Shinjuku, Shibuya), the growth rate slowed down except for Chiyoda. For overseas investment money, which had been wary of overheating and was a driving force, a recession was becoming clearer. Even in the newly built condominium market, sales had been sluggish in the Tokyo metropolitan area due to the high price. I am interested in knowing whether the 2020 Olympics had played a role in the recent property market growth in central Tokyo.